Bisphenol A (BPA) has been widely linked to cancer, birth defects and male infertility among other disorders. BPA is most widely found in refillable drinks bottles and food storage containers, as well as the protective coatings and linings for food and drinks cans. 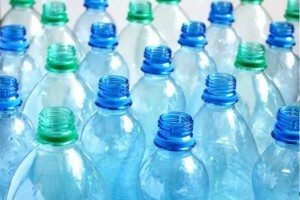 It can enter the body through food that has been kept in packaging containing BPA, handling packaging or even through breathing in household dust. In both the EU and the US, BPA has been banned from use in babies’ bottles because the chemical can be released if the bottles are heated to high temperatures. The Food Standards Agency and the European Food Safety Authority (EFSA) have nevertheless said that the chemical is not a safety concern. In January 2015, the most recent statement available from EFSA said there is no risk posed to human health at current exposure levels. A 2016 report nevertheless found that children exposed to high levels of BPA in the womb were fatter by the age of seven, and it is feared that the chemical alters the programming of the unborn child’s metabolism, causing problems in the years to come.